Language Consultants is a Milan based company with language teachers located in most major Italian cities, positioning us to help companies with their language needs anywhere in the country. We strive to be the leading Italian Language Consultant company by delivering quality and value to our clients. We achieve this through practical and innovative language solutions that help our clients succeed. We deliver consistent services across our platform of language courses and sectors in all matters we undertake. Our clients range from high-tech engineering firms, leaders in the Italian financial sectors to Italian state schools . I would like to present the project and the company I represent, with the objective of helping you better understand the reason and the determination with which I have decided to undertake the start-up of a new language school with a long history in language teaching. 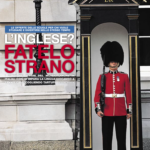 Language Consultants Srls, situated in Milan, Italy, was started in 2016 due to the sudden closure, after the acquisition by the Inspired Group, of Milan’s historical language school Oxford Institutes Italiani founded in 1957 and part of the International School of Europe Group. For almost 20 years I actively worked for Oxford Group as Head of Studies and person in charge of the Quality management systems ISO 9001. I have personally been active as a private language consultant since 1990. I have always been motivated by the passion to teach and diffuse my knowledge of the English language to students of all ages and backgrounds. Pushed by my desire to continue my work, the work I love and enjoy, I decided to involve my closest colleagues and collaborators, many of whom have spent their entire career with us, in our new adventure Language Consultants, sure to be availing myself of a team of serious, passionate teachers that has accompanied and helped us distinguish our work over the years. We have around 40 active language teachers in Italy. As Head of Studies from the year 2000 to today I have been the person of reference for the language training courses in company and in state schools while my business partner Paola Pantaleo, from 2004, has followed us in all organizational and administrative aspects. Our principal languages are Italian for foreigners and English as a second language, however, we run courses in many other languages for adults, children and business people. For children we run courses in private and state run kindergartens, primary schools, middle schools and high schools as well as exam preparation for ages and summer camps. For state school teachers we run both language courses and teacher training course inline with the Italian MIUR (Ministry of Education) guidelines with validated training credits. In light of what was said above Language Consultants was born, with the knowledge of years of experience and a full portfolio of clients that has trusted us to continue in our work. We are, therefore, convinced that you will agree to put your faith in us and our new business venture. We’re proud to work with some of the Italy’s most admired companies. They rely on Language Consultants for innovation and deep specialist expertise. 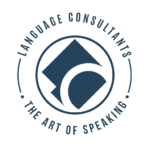 Language Consultants pride themselves on the high quality of its foreign language teaching, the wide range of the training it provides, in the school and in the workplace, and for its specialized linguistic services.We provide ground-breaking, tailor-made solutions for flexible, personalized learning. The teaching programmes of the one-to-one courses are tailor-made to meet specific needs. The methods and goals of each course are coordinated with the teacher and with the teaching management. Groups are formed after an assessment of the participants’ linguistic level. The teacher can thereby set up a suitable training programme, rich in goals and horizons to be achieved. Language Consultants organize courses for students of all ages, in groups and one-to-one, in standard and specialized language (Business, Marketing, Finance) and as preparation for international certificates (Cambridge, ESOL, Trinity, TOEIC, PTE General and Young Learners® and LCCI). 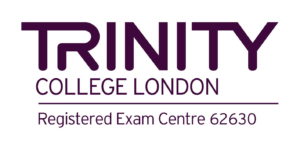 We are also an authorized Trinity exam centre 62630 – a great convenience! Are you interested in taking a language course?